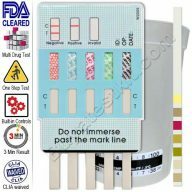 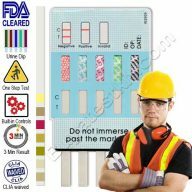 A 5 panel drug test detects five (5) drugs: These can be any five drugs of choice from our available options. 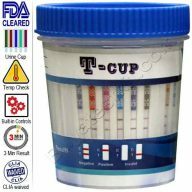 Historically the most popular test detects Marijuana, Cocaine, Opiates, Amphetamines, and Phencyclidine. 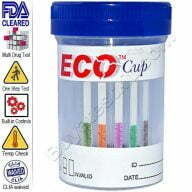 Today, however, there are many variants available which include Methamphetamine instead of Phencyclidine. 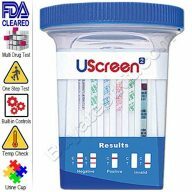 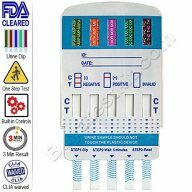 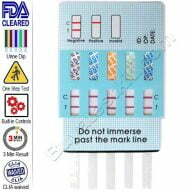 When researching for five-panel tests, make sure they detect the drugs you need to test for and not just a regular five. 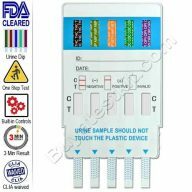 Be sure the test you buy is the right one for you. 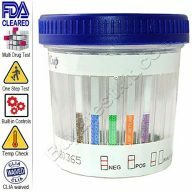 Seems obvious, but you would be surprised how many purchases include phencyclidine and not a more commonly abused drug like Methamphetamine. 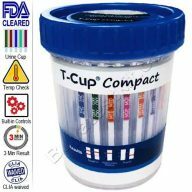 Here is an article on 5-panel drug tests.